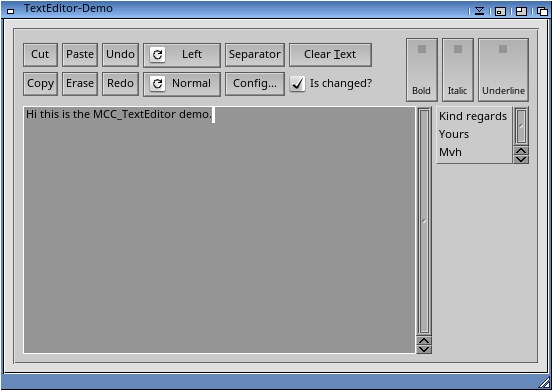 Description: TextEditor custom class for MUI by TextEditor.mcc Open Source Team. - Horizontal scrolling in no word wrap mode. - Support for very long lines (more than 50000 chars in a single line). TextEditor is available for AmigaOS3, AmigaOS4, MorphOS and AROS. 1) Extract the archive to a temporary directory. maintained and Copyright (C) 2005-2019 TextEditor.mcc Open Source Team. about the licensing of the gadget and its source code. on the changes since the last public release.